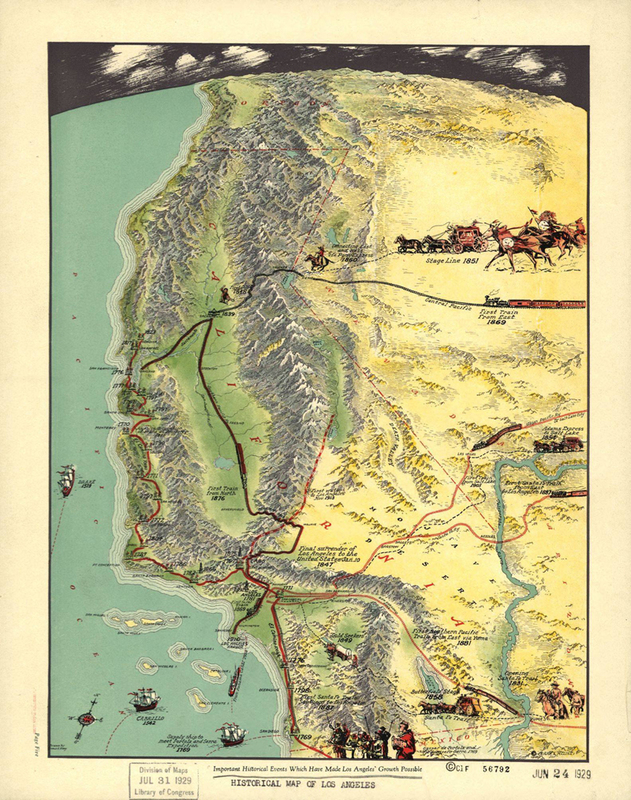 Historical map of California by Gerald A. Eddy, originally titled "Important Historical Events Which Have Made Los Angeles' Growth Possible," 1929. Be sure to click & enlarge the map. According to contributor Jason Brice, Eddy worked in the art department of the Los Angeles Examiner newspaper. 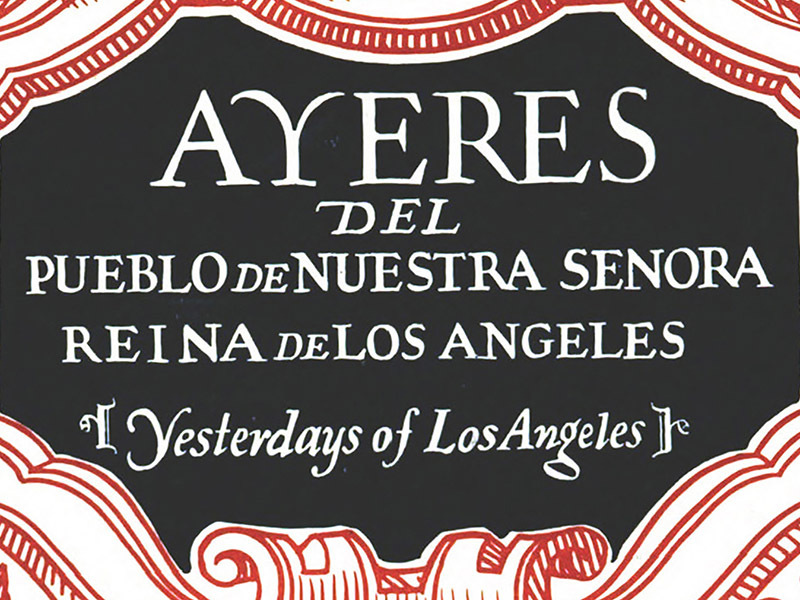 Entries for the Santa Clarita Valley and environs include petroleum development at Pico Canyon, which it identifies as 1875; the establishment of Mission San Fernando in 1797; the "first train from north" through the Tehachapis to Lang in 1876; and the "first water to Los Angeles" through the L.A. Aqueduct in November 1913. The map recognizes Sutter's Mill but doesn't acknowledge the earlier gold discoveries in the SCV. JB2901: 19200 dpi jpeg from smaller jpeg in Library of Congress.